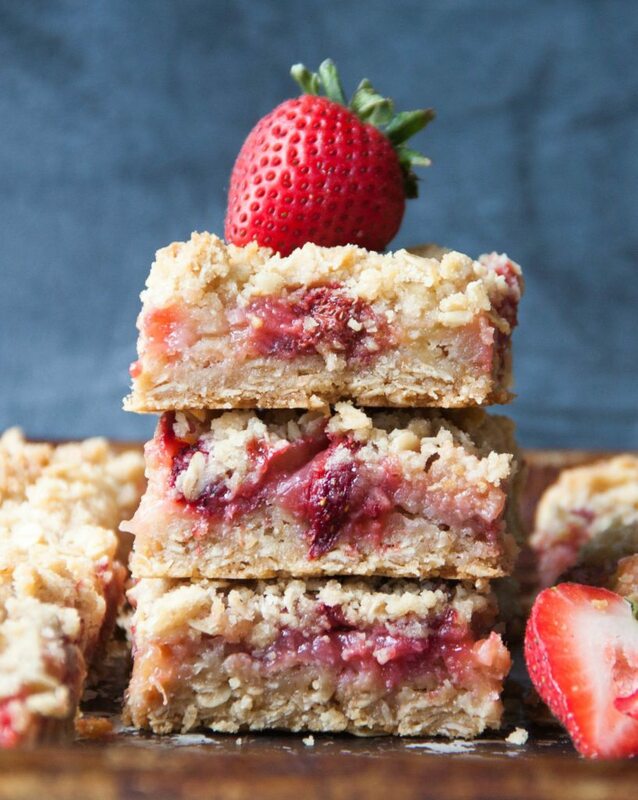 These strawberry rhubarb bars is super easy to throw together! It can all be made in one bowl and you don’t need to use your mixer. As a child one of the pies I always remember enjoying in the summer was a strawberry rhubarb pie. There is just something about that flavor combination that screams summer is here. But making a pie isn’t always something I feel like signing up for. 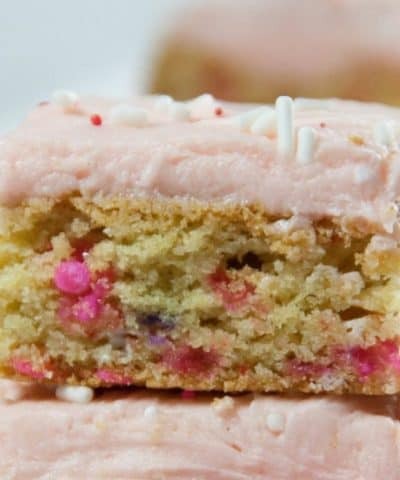 But a strawberry rhubarb bar that is whipped up in under 30 minutes? Now that I can always sign up for. I wanted to simplify this bar by making it one bowl. 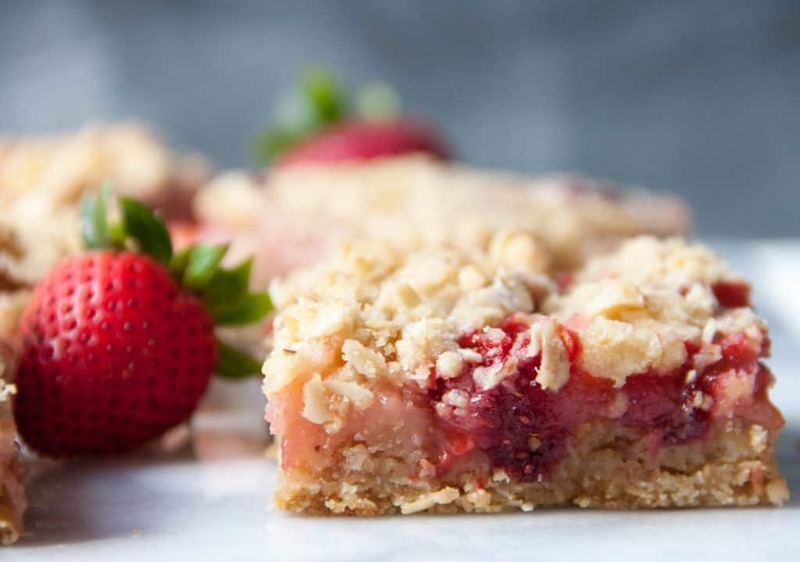 This strawberry rhubarb bar uses the same mixture for the bottom and top of the bar to make these super speedy to come together. Step 2: Make the oatmeal crumb mixture. Whisk together your flour, oats, baking powder, brown sugar, white sugar, and salt. 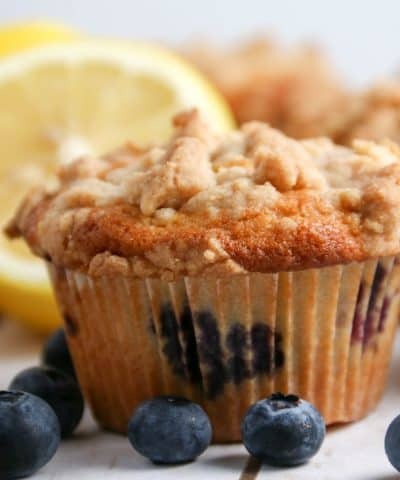 Pro Tip: You want to make sure to use old fashioned oats. I tried using quick oats but they kind of disappeared into the mixture. Using old fashioned oats gave the bars better texture. Step 3: Once everything has been whisked together, then add in your butter. Cut the butter into tablespoons so it’s more easily incorporated. Step 4: I used a pastry cutter to cut the butter into the dry ingredients. You could even use your hands to rub the butter into the mixture, if you don’t want to dirty another utensil. Step 6: Press the rest of it into the bottom of a 9×9 pan. I used the bottom of a measuring cup to press the mixture in. Step 7: Prepare your filling by stirring together sliced strawberries and rhubarb, lemon juice, cornstarch and sugar. Step 8: Pour the filling over the crumb mixture that is the pan and spread it out. Step 9: Sprinkle the 1 cup reserved crumble over the top and bake! Do I Need To Use Cold Butter? Yes! You want to be sure to use cold butter for this. Just as if you were making pie dough, you want to use cold butter, because it will create pockets of butter that will then melt and steam in the oven creating a bit of a flaky texture. I know not all of you probably have a 9×9 pan. 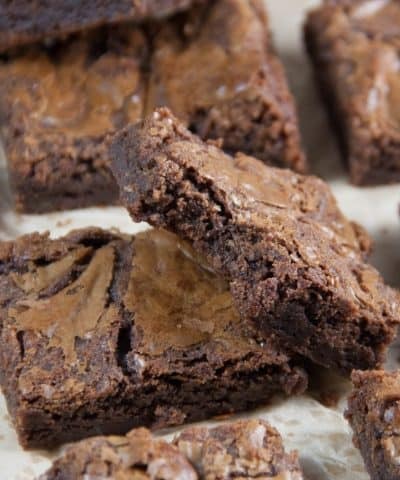 So you definitely can use your square 8×8 pan. Your bars will be a bit thicker than mine. Nothing wrong with that. I do not recommend your 9×13 pan, because the bars might be a little on the thin side. 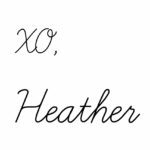 What If I Don’t Have Parchment Paper? It happens to the best of us. Me as well! So if you don’t have parchment paper, don’t stress. You can simply spray the pan with a bit of non-stick cooking spray. It won’t be as easily released but it can be done. Or you can use aluminum foil with non-stick spray as well. I’ve done this and works great. 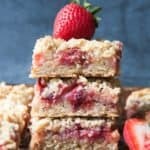 Forget going to all the trouble to make a strawberry rhubarb pie and whip up these strawberry rhubarb oatmeal bars instead. 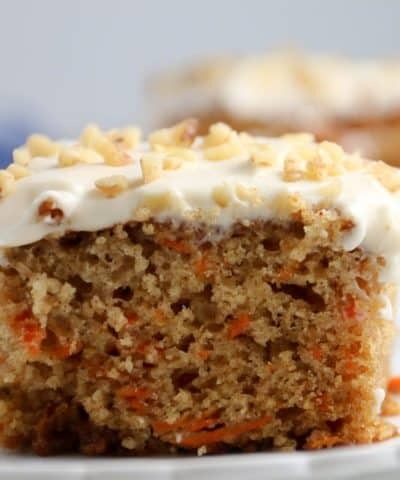 If you try the recipe and love it, don’t forget to leave me a comment and star rating in the comment section below! 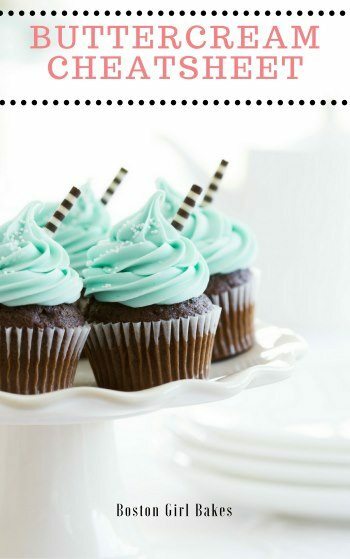 And as always…happy baking! 9×9 pan- This is the pan I used for this recipe! If you love this recipe then be sure to sign up to the community where you will recieve the latest posts, tips and tutorial delivered right to your inbox. 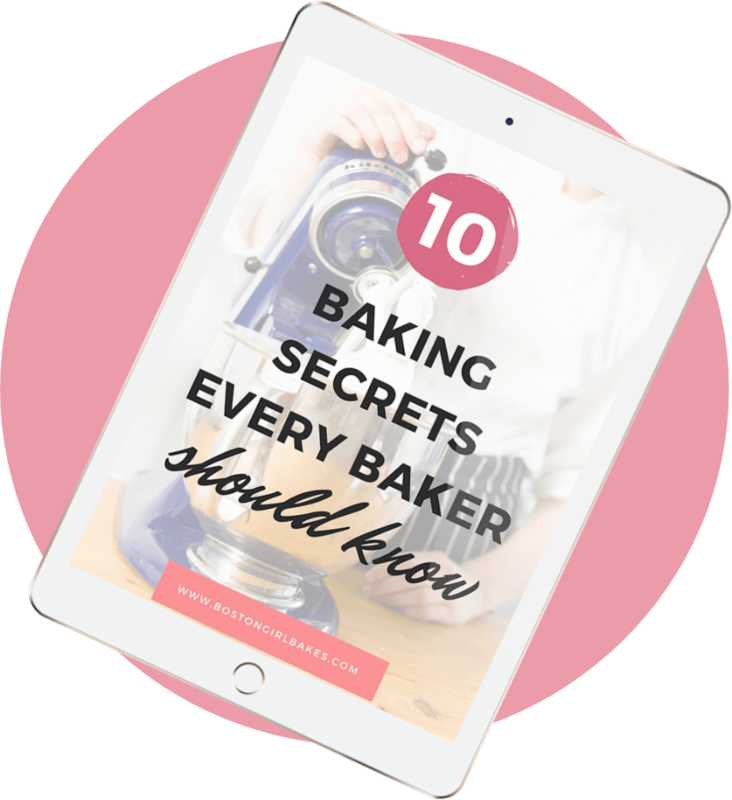 As a thank you I will send you my 10 tips that will have you baking like a pro! An easy one bowl oatmeal crumb bar with fresh sweet strawberries and tart rhubarb. Pre-heat oven to 350 degrees Fahrenheit. Line a 9x9 pan with parchment paper. 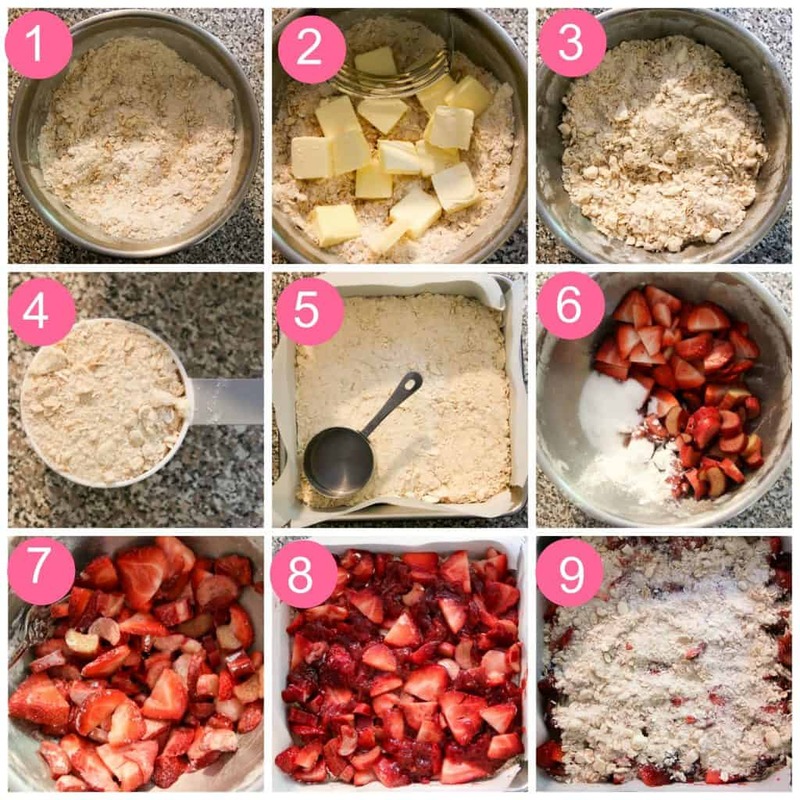 In a large mixing bowl, whisk together the flour, oats, sugars, salt and baking powder. 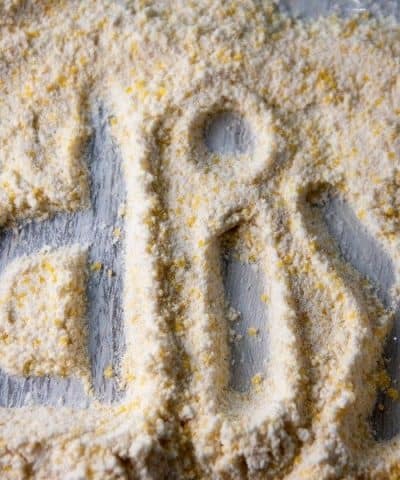 Using a pastry blender, cut in the butter until coarse crumbs are formed. Reserve 1 cup of the mixture and set aside. Press the remaining mixture into the bottom of the 9x9 pan. 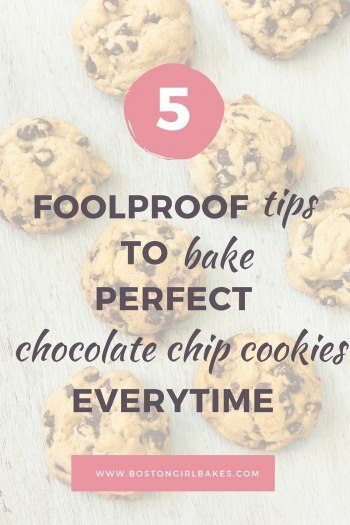 Use the bottom of the measuring cup to easily press down. In the same mixing bowl, stir together all the filling ingredients. Pour over the crumb mixture in the pan. Top with the remaining 1 cup crumb mixture, spread evenly around. 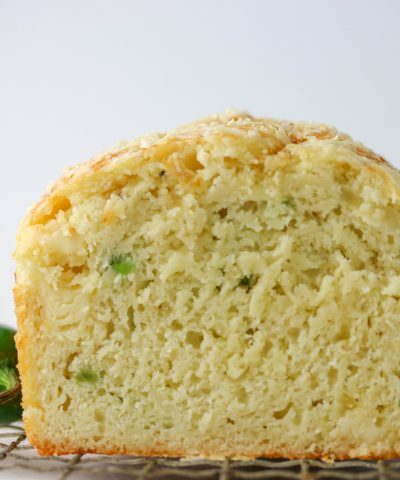 Bake for 50-60 minutes until top is golden brown and filling is bubbling. (for me this took exactly 55 minutes). 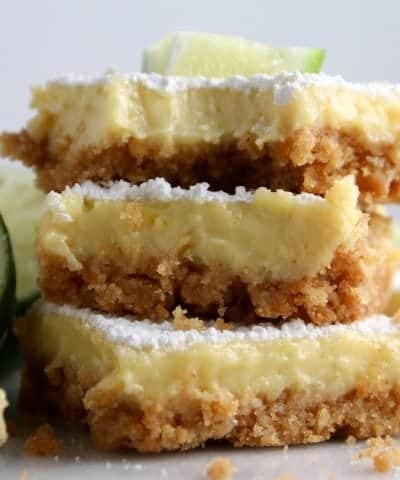 Allow to cool on a wire cooling rack, then cut into bars and serve. Store covered at room temperature for up to 3 days. I used a 9x9 pan for this recipe, but an 8x8 pan works as well. You will just have thicker bars. Line your pan with parchment paper. But if you don't have that, you can spray your pan but it might not easily remove. You can also use tinfoil and spray the tinfoil with non-stick cooking spray. Just don't use wax paper! If you want to freeze these bars, let them cool and remove them from the pan and then cut into bars. Freeze first on a cookie sheet, then once frozen place inside a zip-loc bag. They will keep for up to 2 months. But these bars are best the day of. My preference? 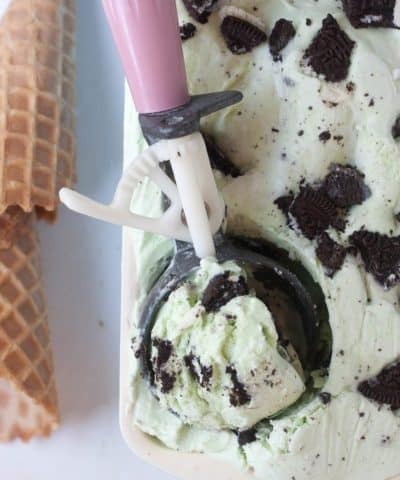 With a dollop of ice-cream! 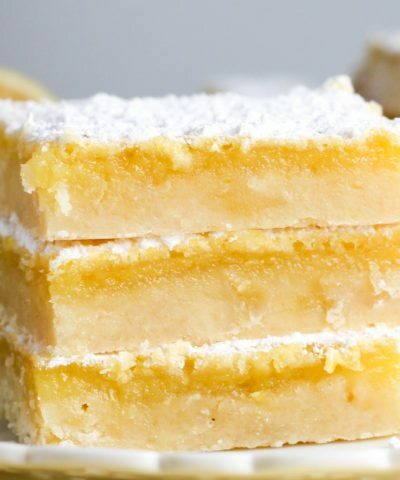 These bars look absolutely delicious! The strawberry and rhubarb filling is such a pretty color. 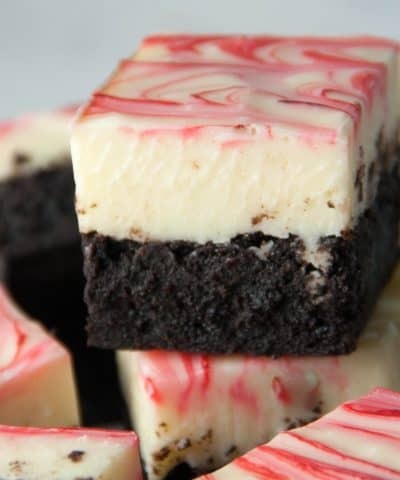 I so want these bars right now! Thanks Thao! When its rhubarb season I just can’t help but bake something (ok all the things with it!) hope you like them!